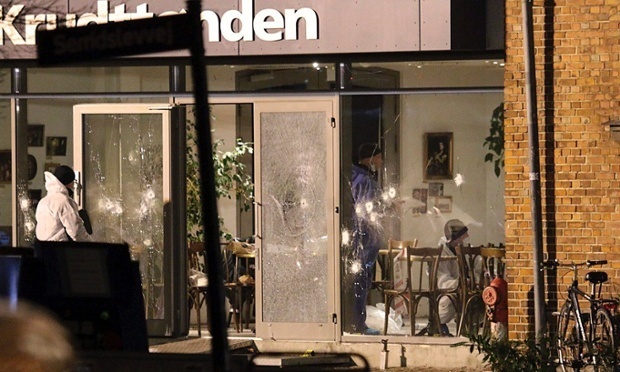 Police in Denmark have now shot dead the suspect behind two attacks on Saturday, including an attack on a cafe where a public seminar on Art, Blasphemy and Freedom of Expression was being held. Thirty shots were fired into the cafe, during the event featuring Swedish cartoonist Lars Vilks. The New York Times reports he had “drawn a cartoon in 2007 of Muhammad as a dog at a traffic circle and was on a “death list” drawn up by Al Qaeda in the Arabian Peninsula, as was the murdered editor of Charlie Hebdo, Stéphane Charbonnier.” A 55-year old film director, Finn Norgaard, was shot dead at the cafe, and later on a 37-year old man guarding Copenhagen’s central synagogue were killed in the two attacks. Closer to home, the US media is being accused of bias in the reporting of the shooting deaths of 3 students in Chapel Hill. 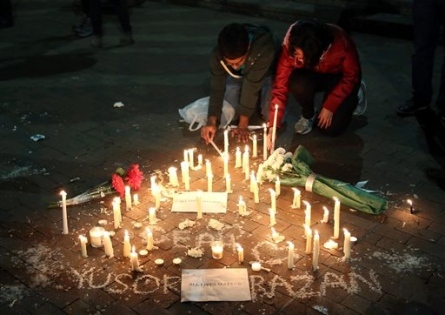 A #muslimlivesmatter campaign was started, but does not seem to be trending any more. One of the women killed, Yusor Abu-Salha, had previously done a Storycorps interview, where she spoke of the “blessing” that growing up in the US had been. “We’re all one, one culture,” she said. For Tuesday: Come prepared with at least two questions for Kathleen McLaughlin, including one specifically focussing on one of her stories. 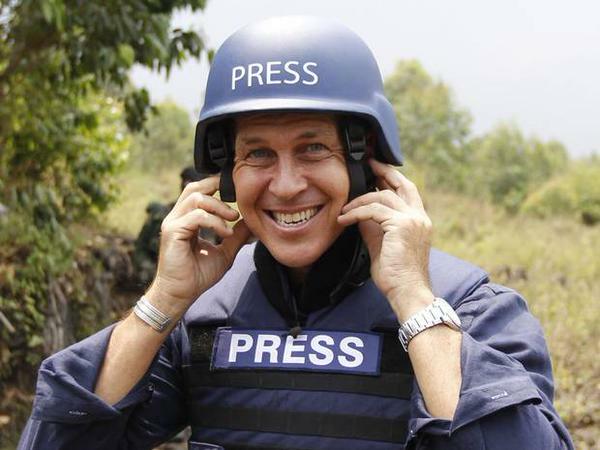 After 400 days in an Egyptian prison, Australian journalist Peter Greste has finally been released. He’s flown to Cyprus, and Al-Jazeera acting director-general Mostefa Soueg said, “Peter’s integrity is not just intact, but has been further enhanced by the fortitude and sacrifice he has shown for his profession of informing the public. ” But the campaign will continue until the two other journalists imprisoned with him, Mohamed Fahmy and Baher Mohamed, are also released. 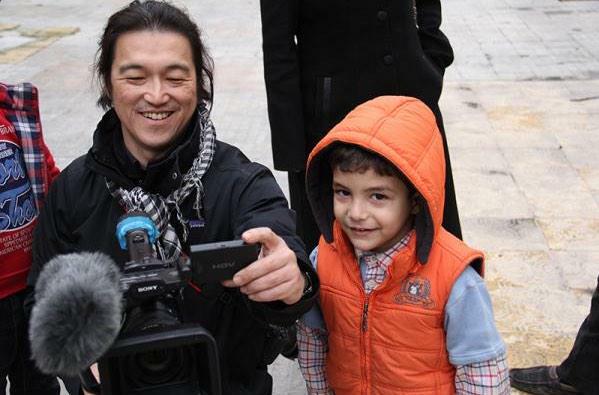 This past week also saw more bad news for journalists as ISIS executed two Japanese hostages, including journalist Kenji Goto. 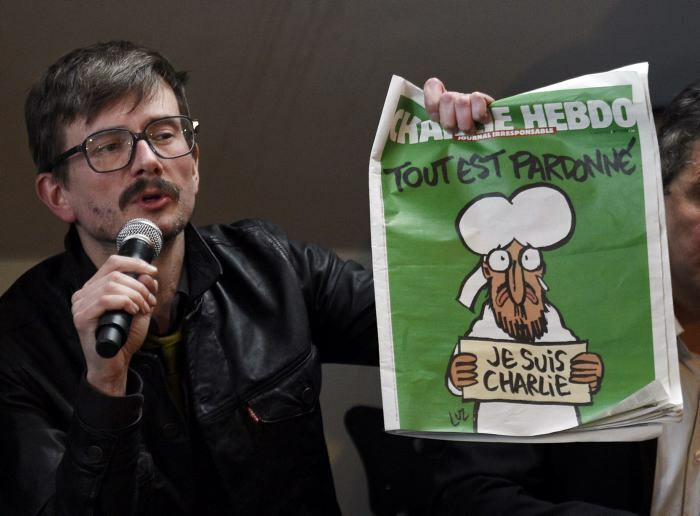 A social media campaign had started #iamkenji or #jesuiskenji, but does not seem to have had much traction. Here’s a tribute to him.